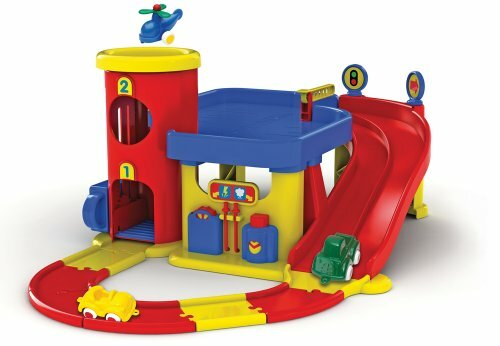 This 2 story garage will provide hours of imaginative play to your car crazy child. The set includes 6 pieces of roadway and 3 vehicles. Land the helicopter on the helipad and lift the car in the elevator.